Tessa Ransford was born in India, educated in Scotland and has lived all her adult life in Scotland apart from eight years working in Pakistan in the 1960s. She has published sixteen books of poems since the mid-seventies, the most recent being Not Just Moonshine, her 'New and Selected Poems' from Luath Press, Edinburgh, 2008. Ransford has led a busy working life as founder/director of the Scottish Poetry Library since it opened in 1984 until after its establishment in new premises in 1999, as founder/organiser of the School of Poets poetry workshop (1981-99) and as editor of Lines Review poetry magazine from 1988 until its final issue, number 144 in 1998. Poems, essays and articles have been published in many magazines and anthologies and in translation. She is now working as a freelance poetry adviser and practitioner, with special interest in relating poetry to those working creatively in other fields. Tessa Ransford was a fellow of Royal Literary Fund (working since 2001 at the Centre for Human Ecology in Edinburgh) and another RLF fellowship (2006-8) at Queen Margaret University. She set up the Callum Macdonald Memorial Award to encourage the publishing of poetry in pamphlets. Its website:www.scottish-pamphlet-poetry.com lists and offers pamphlets for sale on line. It organizes an annual Christmas pamphlet fair with the support of the National Library of Scotland and other sales/fairs for pamphlets throughout the year. 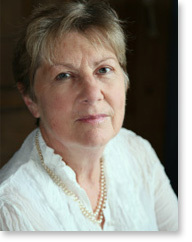 She was president of International PEN, Scottish Centre, as from September 2003 to the end of 2006 and the commencement of its 80th anniversary year. Luath Press, Edinburgh has recently published her New and Selected Poems: Not Just Moonshine.